Matt original completed an undergraduate Masters degree in Physics at the University of Southampton, graduating with a first class honours degree in 2009. This was followed by a First class Masters degree in Medical Physics in 2011 at the University of Surrey. 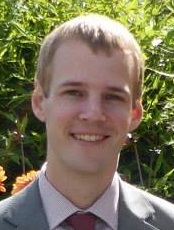 He completed the IPEM Clinical Scientist training scheme in 2013 and has since been a registered clinical scientist with the HCPC whilst working at the Royal Surrey County Hospital where he gained his current position as a principle radiotherapy physicist specialising in treatment planning and brachytherapy. More recently Matt has been awarded a PhD for his work titled “Evidence based assessment of the clinical impact of dose variations arising in the clinical radiotherapy dosimetry chain” which was conducted under the supervision of Prof. Andy Nisbet, Dr Tao Chen and Dr Catharine Clark with close links between the University of Surrey, National Physical Laboratory and Royal Surrey County Hospital. Matt has been involved in a number of developments within the radiotherapy department including the introduction of a Deep Inspiration Breath Hold (DIBH) technique for treatment of the breast, including running study days on this topic. Within brachytherapy Matt planned the first Image Guided HDR Brachytherapy (IGBT) treatment of the cervix delivered in the department and has been involved with the HAPpy trial which utilised an adapted 4D brachytherapy technique to treat only the side of the prostate which has disease using I-125 LDR seeds. Matt has also started up the move of routine QC recording over to QATrack+ a paperless system. Bolt, M. A. (2018) Evidence based assessment of the clinical impact of dose variations arising in the clinical radiotherapy dosimetry chain by. University of Surrey. doi: 10.15126/thesis.00848888. Bolt, M. A. et al. (2018) ‘A “Big Data” analysis of radiotherapy beam output measurements. Do constancy devices under report beam output?’, in MPEC. York: IPEM. Bolt, M. A. et al. (2018) ‘Poster: Comparison of beam output drift for Varian Clinacs and Truebeams: Do Truebeams require more frequent calibration?’, in MPEC. doi: 10.13140/RG.2.2.28617.19048. Bolt, M. et al. (2018) ‘OC-0611: Modelling the clinical impact of machine specific dose variations on outcome using national data’, Radiotherapy and Oncology. Elsevier Masson SAS, 127(2), p. S322. doi: 10.1016/S0167-8140(18)30921-6. Russell A.S. Thomas, Matthew A. Bolt, Graham Bass, Rebecca Nutbrown, Tao Chen, Andrew Nisbet, Catharine H. Clark. (2017) ‘Radiotherapy reference dose audit in the United Kingdom by the National Physical Laboratory: 20 years of consistency and improvements’, Physics and Imaging in Radiation Oncology, 3, pp. 21–27. doi: 10.1016/j.phro.2017.07.005. Bolt, M. A. et al. (2017) ‘A multi-centre analysis of radiotherapy beam output measurement’, Physics and Imaging in Radiation Oncology. Elsevier, 4(October), pp. 39–43. doi: 10.1016/j.phro.2017.12.001. Bolt, M. et al. (2017) ‘PO-0757: Variation of mean dose output from 204 UK linacs (Jan-June 2015) and its potential clinical impact’, Radiotherapy and Oncology. Elsevier Masson SAS, 123, p. S399. doi: 10.1016/S0167-8140(17)31194-5. Thomas, M. Bolt, G. Bass, A. Nisbet, C. Clark (2016) ‘EP-1935: Impact of standardised codes of practice and related audit on radiotherapy dosimetry over 20 years’, Radiotherapy and Oncology. Elsevier, 119, p. S918. doi: 10.1016/S0167-8140(16)33186-3. Bolt, M. et al. (2016) ‘Impact of Linac Output Variation on Clinical Outcomes’, in Conference: UK Radiation Oncology (UKRO). Liverpool. doi: 10.13140/RG.2.2.15230.59209. Cunningham, M., Bolt, M., Franklin, A., Stewart, A. (2015) ‘PO-1019: Improving service efficiency by reducing the volume of bowel contoured when performing IGBT of the cervix?’, Radiotherapy and Oncology, 115, p. S549. doi: 10.1016/S0167-8140(15)41011-4.